I have not long been back from a trip to visit my In-Laws in Germany, with my DH. We drove,,, rather DH drove,,, all the way,,,apart from when we were on the ferry of course!! They live in the north west region near to the Teutoburger Wald, a forest/woods. And it is beautiful!! It is sooo quiet here,,, you can hear the noises of the woods,,, lovely!!! On our return, I thought I'd better do some creating. At my quilt group, one of our members brought along a little 'Workshop bag' that she had made,,, and the rest of us wanted to make one too! Our group is only small, 12 members,, and we have christened the bag the 'Maybees' bag,, after the group! What do you think??? The fabric is the "Quilts 1700 -2010 Liberty Art Fabrics for the V & A",, Stick Flower and Shells! I will be making a quilt out of this book,,,, for those of you who have this book,, page 78,, but in reds and cream, not purple as in the sample! and not much more. 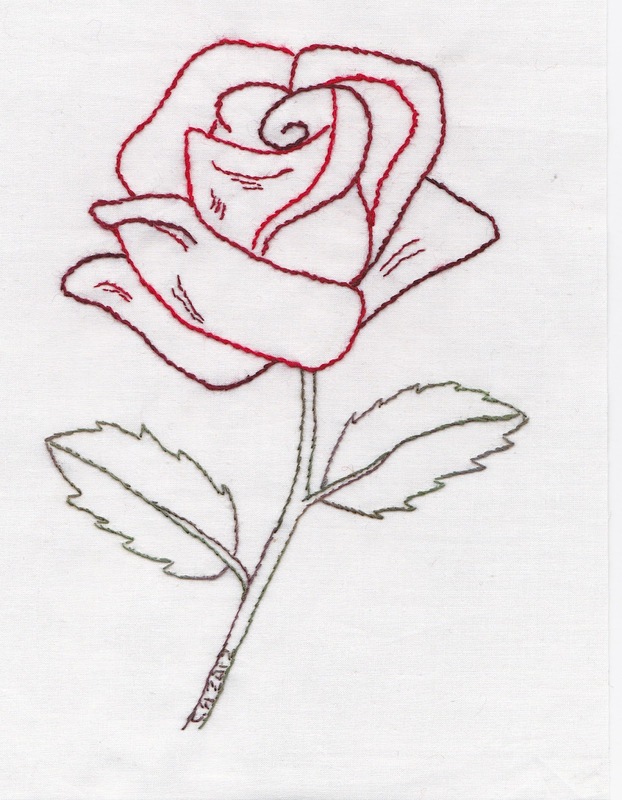 It is my Boss lady's birthday on Friday,, and as the rose is the flower of the month, I thought I would stitch a little something for her. That is all the creating I have done just lately. Haven't had the urge to do anything, really! Work is getting me down,, and no luck in winning the Lottery (big time) yet! And yes, I do buy tickets,, you have got to be in it to win it! It is a bag of allsorts! 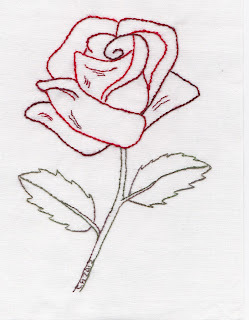 There is also a bundle of white thread,, cut into lengths of about 30 inches.. it is all very useable. And to end with, a close up of my beads and buttons from Malvern!